It has been 6 long years since Shrek Forever After debuted in theaters, and it will be another three before the next installment debuts. But it has been comforted today that Shrek 5 will be in theaters sometime in 2019. An exact date hasn't been announced, and it isn't known if this will be a big summer release or if it will be saved for the holidays. It was reported earlier today by The Hollywood Reporter that Universal and DreamWorks plan to start releasing two DreamWorks Animation movies a year, every year, for the foreseeable future. And the Shrek franchise has been one of the studio's most lucrative. So it makes sense that after some time away from this colorful fairy tale land, they'd want to return to catch up with Shrek, Fiona, Donkey, Puss N Boots and all their friends. The original movie, which arrived in 2001, was an instant smash, and spawned three more sequels plus the Puss n Boots spinoff. Following the disappointing box office turns for Rise of the Guardians and Mr. Peabody and Sherman, DreamWorks Animation had to seriously shuffle their slate around. But with NBCUnivesral acquiring the animation studio earlier this year, the team is eager to bring forth even more franchise sequels and get the company back up to the standards it set over 15 years ago. The 2019 slate not only includes Shrek 5, but will also include the previously announced animated movie Shadows, which marks cult favorite director Edgar Wright's first foray into the medium. He will be working alongside David Williams. Related: Shrek 5 Script Is Finished, Will Eddie Murphy Return as Donkey? Universal and DreamWorks are working to balance out original projects with sequels and spinoffs as they move into the future. Also on the future slate is Trolls and Boss Baby along with The Croods 2 and How to Train Your Dragon 3. If the new movies are well received, it will help DreamWorks Animation establish even more franchises for the future. At this time, no plot details have been revealed for Shrek 5. At one point, it was rumored to be a compete reboot of the Fairy tale series. Shrek Forever After, which found Shrek trapped in an alternate timeline after a deal with Rumpelstiltskin goes sour, was promoted by DreamWorks Animation as the final film in the series. It isn't clear exactly how the saga would attempt to reboot itself. It's clear that there will probably be more Shrek movies after this next one, so we probably won't see it marketed as the 'final' movie a second time. 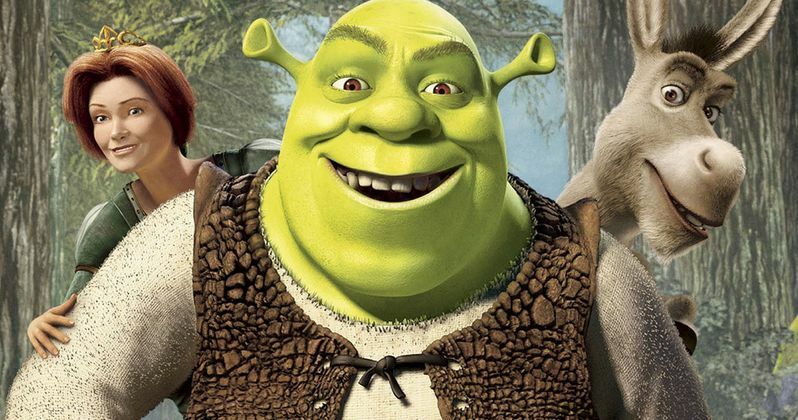 Shrek 5 Is Still Happening, Will It Be a Complete Reboot?